You are invited! 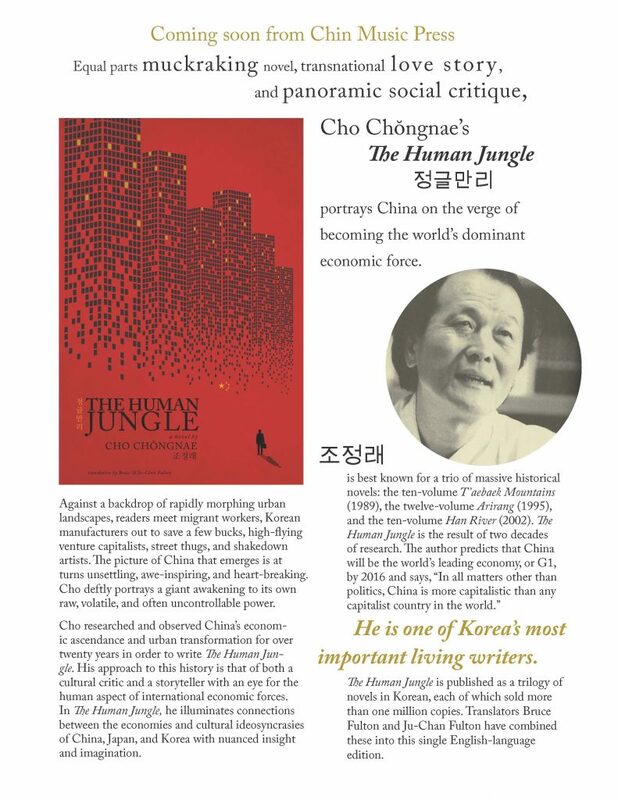 Dr. Bruce Fulton will be hosting a book launch for the latest translation by him and his wife Ju-Chan, The Human Jungle. The event will take place this Thursday, September 15th, in the CK Choi building (Room #120) from 5pm to 7 p.m. 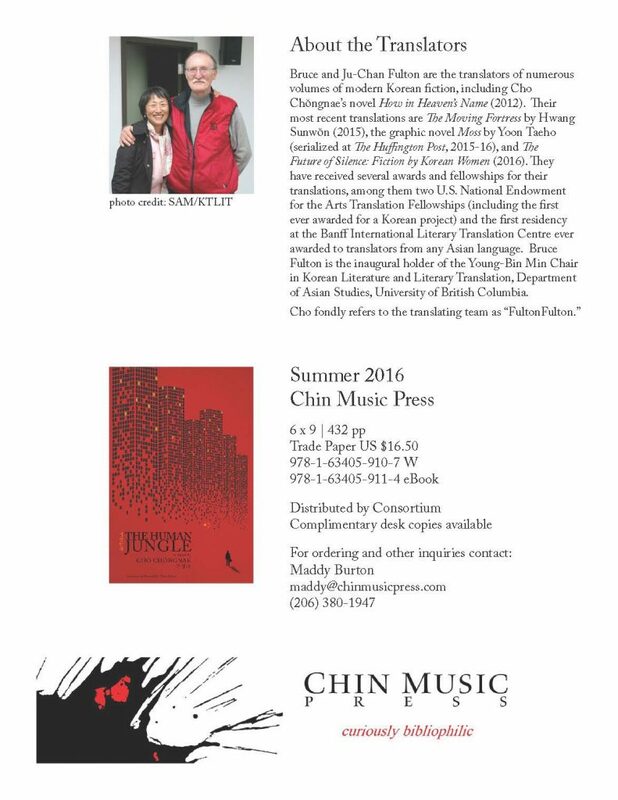 The event will include a champagne reception and copies of the book will be available.